We’ve made so much progress in the mental health field, haven’t we? A more nuanced understanding of the human brain than ever before in history; pharmaceuticals that help those with mental illness lead better, safer lives; our old friend Dorothea Dix helped lead prison reform so that by the beginning of the Civil War, the practice of jailing the mentally ill was becoming a thing of the past. Go us! Hurray for progress! Things are getting better! Except, no, they’re not. At least when it comes to the mentally ill and prison. There’s a new book out that sheds light on the dark truth of America’s justice system and failed mental health services. 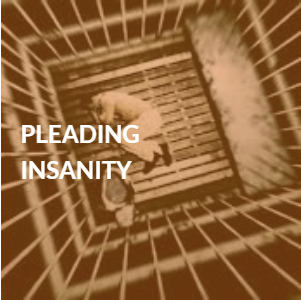 Author Alisa Roth gives us a bleak look inside the three largest psychiatric facilities in the United States. And oh yeah, they happen to be jails. What happens when jails—already underfunded and overstretched—become mental healthcare facilities for their inmates? Nothing good, according to Roth. Inmates don’t get the help they need which makes their conditions worse, which makes them all the more likely to return to the system should they ever get out. In an interview with NPR, Roth reports: "It's unpleasant, it's loud, it's claustrophobic. You see people who are desperately sick. I mean, desperately sick. One time when I was [at the Los Angeles County jail], corrections officers came out with a man who had been strapped into a wheelchair and was bleeding from his arm because he had scratched out a piece of his own flesh." If it’s not the right solution for the mentally ill (and we should note that a majority of prisoners are there for minor infractions), it’s also a terrible situation for corrections officers: They do not have the proper training in mental health treatment—nor are they expected to—and the job becomes that much more dangerous. What that looks like and how it will be accomplished is another issue altogether, and the hard time that the nation’s prison population is doing will perhaps only get harder before we can free ourselves from this epidemic.